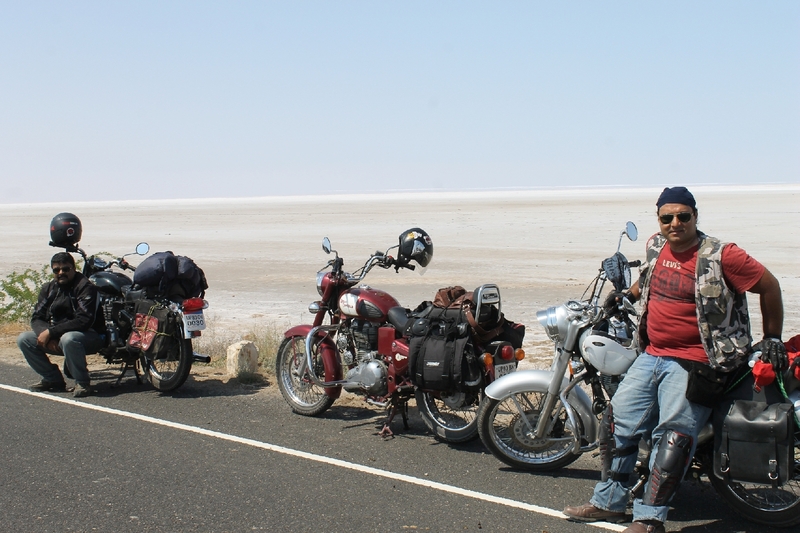 Rann-Away : We ride to the Western End of India to the Great Rann of Kutch. 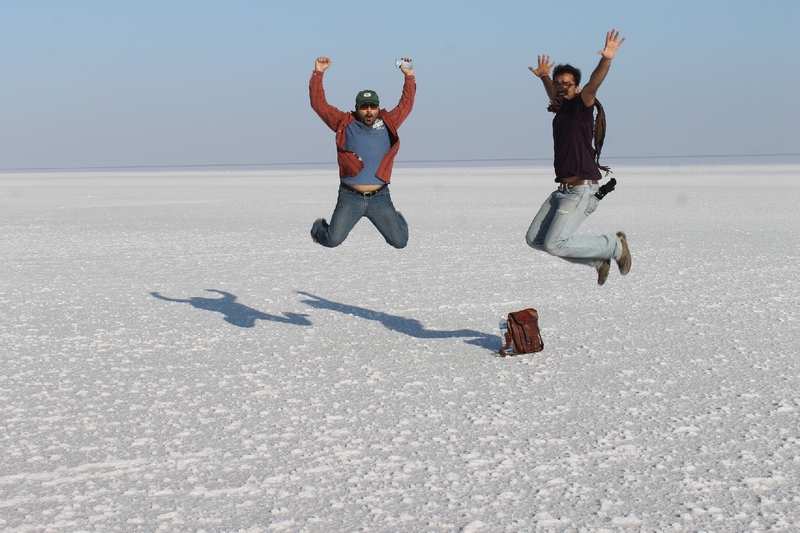 Home / Ride Reports / Rann-Away : We ride to the Western End of India to the Great Rann of Kutch. The title of this ride is true to the bone. 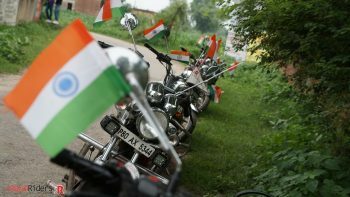 That’s because all four riders Rajesh Chauhan, Himanshu Bansal, Sabya Sachi Ghosh and Sankalp Chandra who embarked on this 2800 kms ride, literally ran away from their homes and commitments, to fulfill their promise to each other. 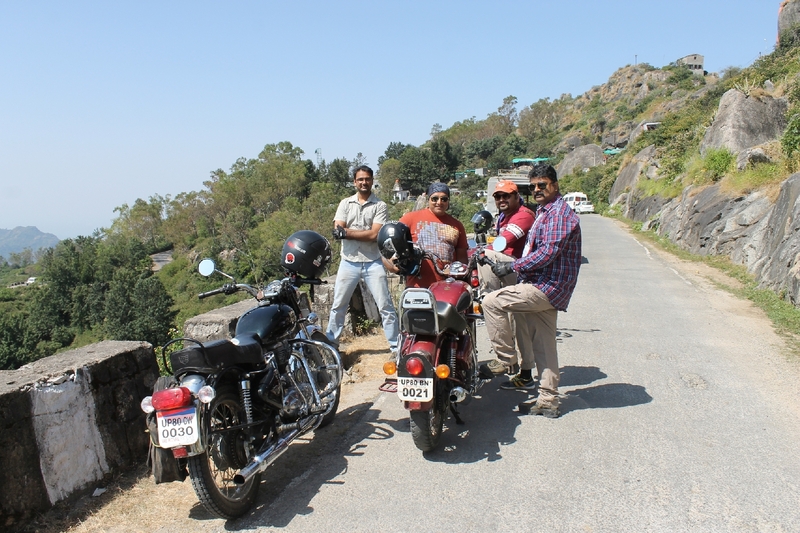 Although this ride was proposed by Sabya Sachi to all the members during our monthly meet up, yet due to various festivals (Nav Durga, Dussehra, Eid ul Zuha et al) most members of the club could not take the ride. However the four of us were not going to throw away this very nicely designed ride, which would take us to Ajmer, Nathdwara, Great Rann, the island of Khadir Bet and the 4500 years old ruins of Dholavira, Mount Abu, Dilwara temples, Ranakpur temples, Udaipur, Chittorgarh and Ranthambore. Although it meant missing the festivals for some, and birthday anniversary of their spouse for others. After several rounds of discussions, we decided to leave Agra on the 2nd of October to be back by 9th, as Sankalp had an important meeting with his US clients on the 10th. Unlike most of our long trips which start at dawn, this one was delayed by several hours, as we had Puja ceremonies at our homes, which meant we could take the start only by 11:00 am. 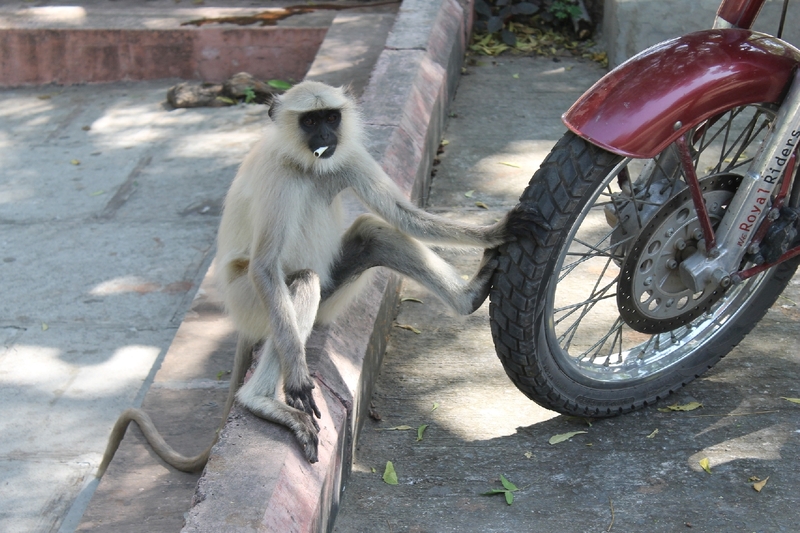 We hit the NH-11 at a steady pace, and took our first break at Bharatpur, followed by a tea break at Mahua. It was decided to do a longer stint, so we stopped for a late lunch only after crossing Jaipur at the first toll on NH79, the Jaipur Kishangarh highway. Once you cross the toll, the road is lined up with a number of well made eating joints, hence there is no shortage of fresh food. 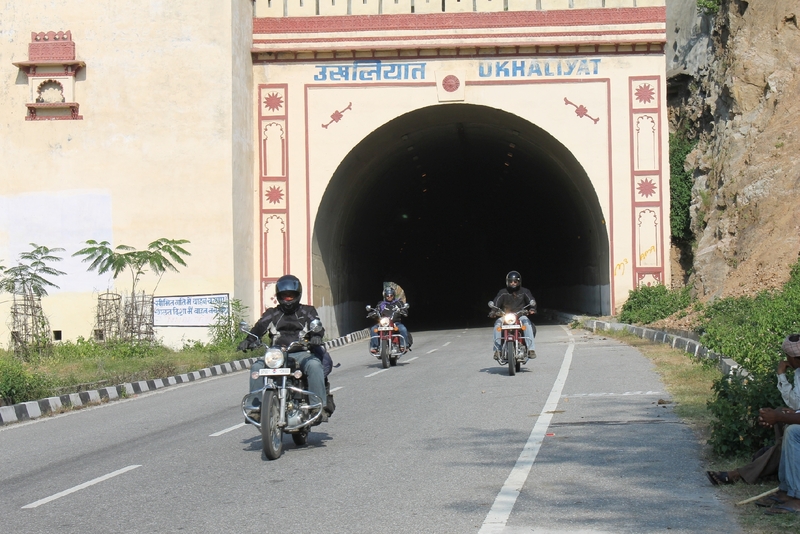 This highway is one of the better highways of India, so riding in triple digits is a pleasure if you want to. It was during this leg of our journey we had our first and only goof up. Sabya and I had stopped for a refuel, and were missed by Sankalp and Rajesh. 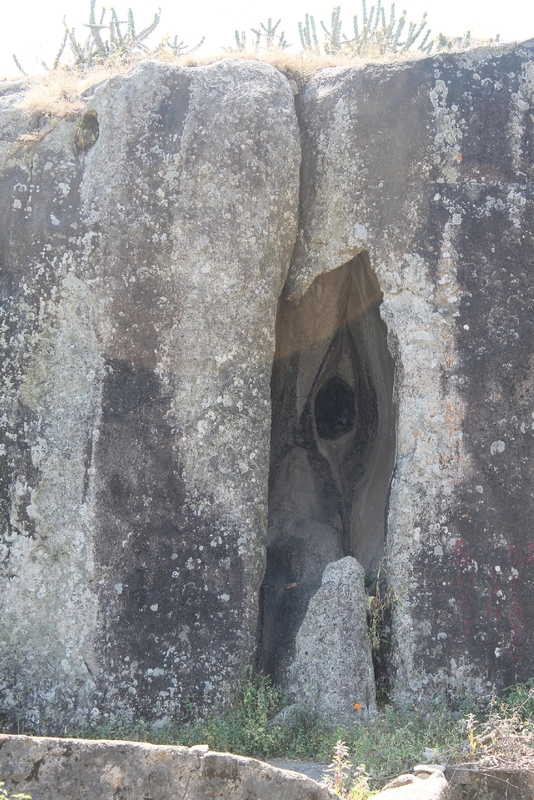 However a few calls later locations were determined, and we were told to watch out for three bullets on our left. Yes ! 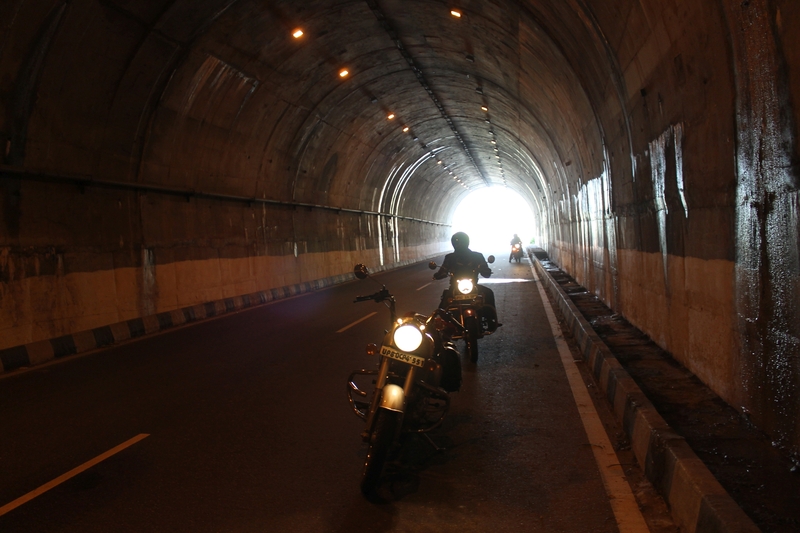 this is where we met up with another fellow rider from Pune, who was returning from a solo ride to Ladakh. He had planned for an extended stay at Ajmer, so we bid him farewell and called it a day somewhere between Ajmer and Beawar after rolling 430 kms. We checked into a small hotel just opposite Ashok Leyland showroom. They offered us great deal on a four bedded AC dormitory. They also had their own little restaurant. Drinks and dinner followed by sound sleep. Early next morning we hit the road at 6:00 am to make up lost time. 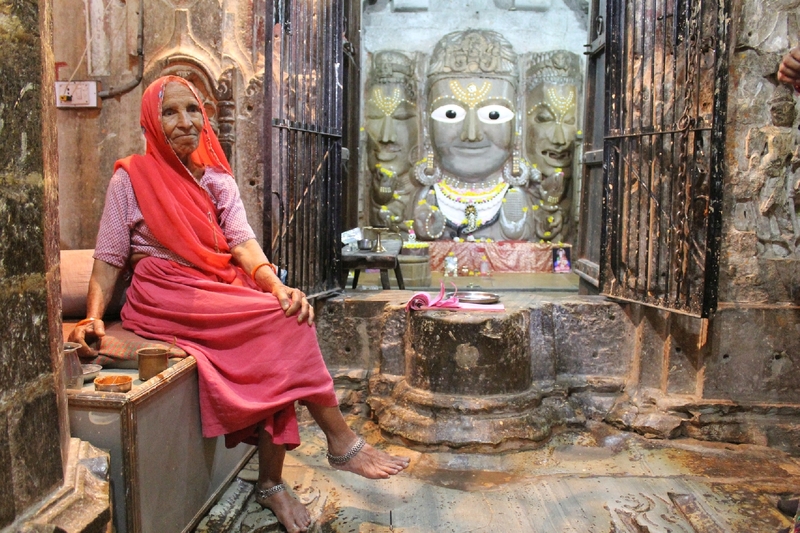 We had planned to reach Radhanpur, and could have made it too, had it not been my wish to visit the famous Shrinath ji temple at Nathdwara. We took a detour and managed to reach Nathdwara temple just before closing time of the darshan. It was a long cherished dream fulfilled. But this happiness was short lived, for I found my favorite riding boots missing from the shoe rack outside the temple!! I had no option but to ride in my flipflops, much to the delight of motorists who were amused to see a rider in full kit riding a fully laden touring bike in his slippers. 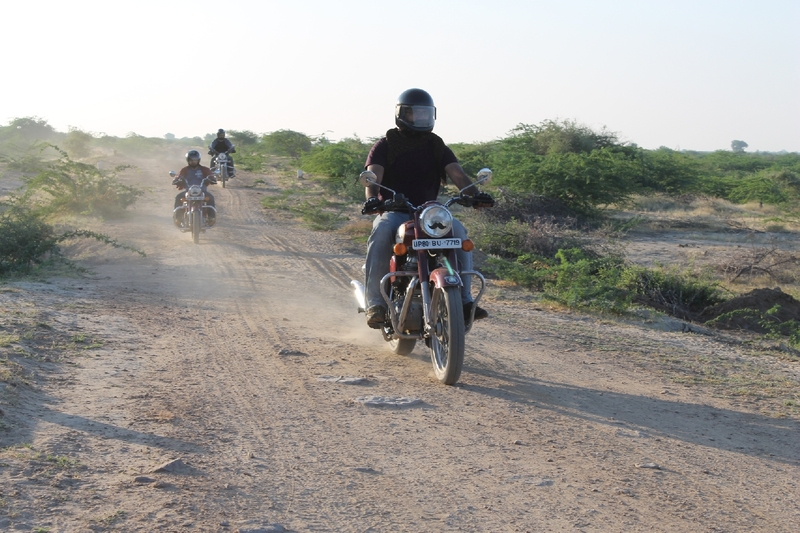 After 225 kilometer we reached Palanpur in Gujarat, having rolled 440 odd kilometers. Two comfortable AC rooms were taken at Hotel Cappal. We tasted sweet Gujarati thali and some unique dishes of the region. I took this opportunity to go down to the market for shoe shopping. I inquired two gentlemen in the parking of a shopping complex for a shoe shop, only to be informed that all shops close by 8:30 pm in Gujarat. But it turns out that these two men owned a sports equipment shop which they had just closed to attend a “Garba Dance night”. However noticing my club T Shirt they immediately offered help and opened their shop again to show some sneakers they stocked. 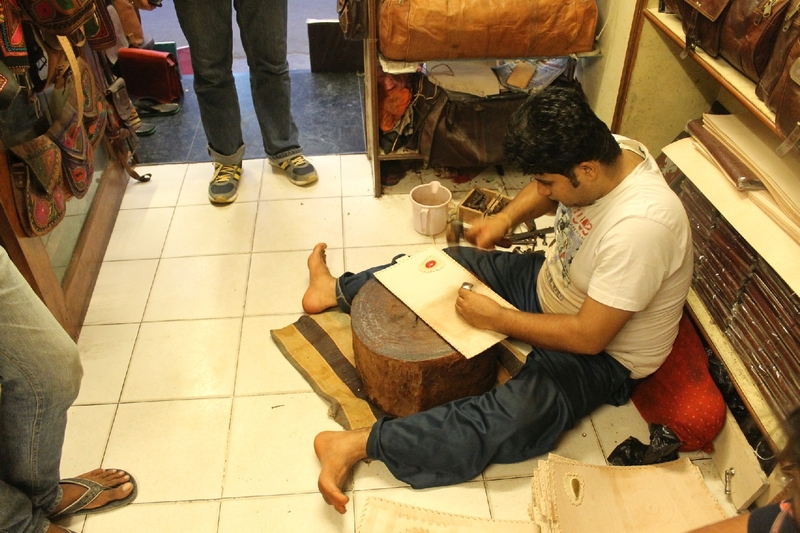 It was a delightful and unique shopping experience. 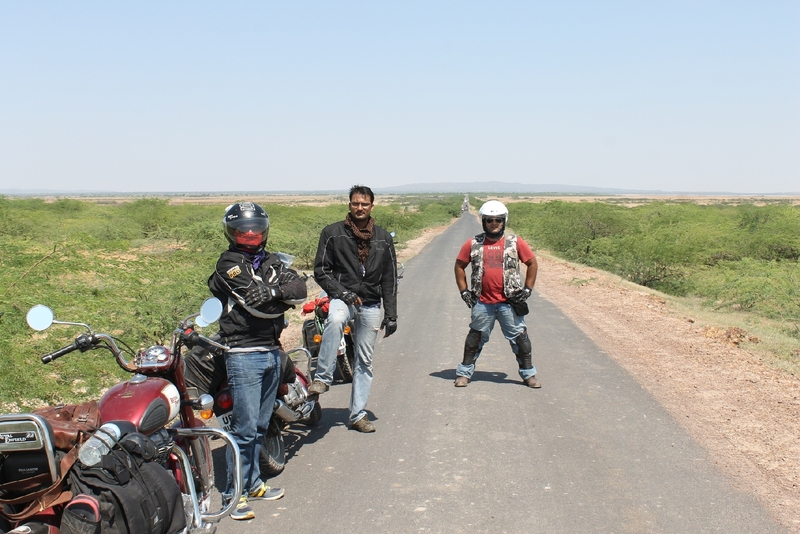 Next day we had only 275 kms to cover to reach Dholavira, so we took it easy in the morning. Had a nice breakfast at the hotel itself and set out for our onward journey after a fuel stop next to our hotel. 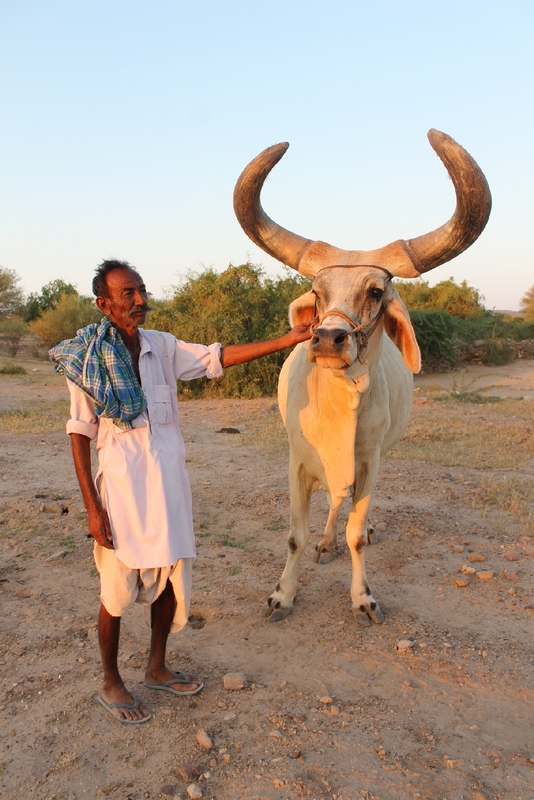 Our plan was to take the shorter route via Balasar into Khadir Bet Island, instead of Bhuj. 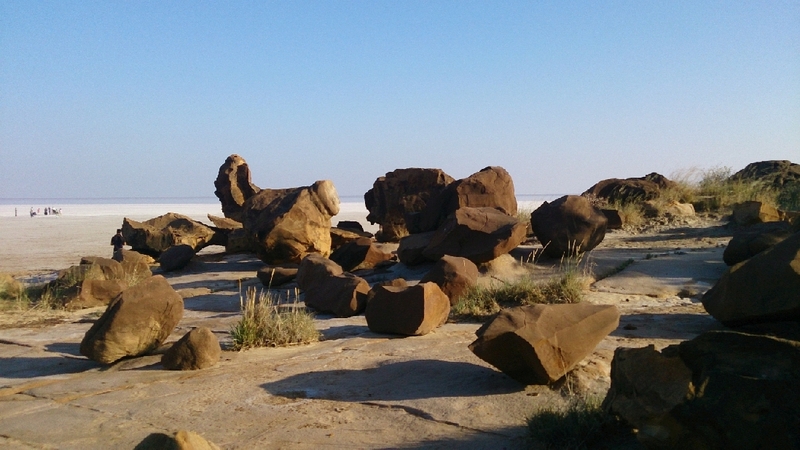 The idea was to be there by lunch time, to visit the Dholavira Museum and excavation site, later catch the sunset over cocktail and drinks. Gujarat is projected as the role model for every other state of India, and for good reasons too. The infrastructure is impeccable, and even smaller districts show affluence. People in general are law abiding and even motorists from other states were very mindful of traffic rules, hence we did not find Police on the streets, much like in Singapore, except for the main entry and exist of every city. People of Gujarat had every reason to vote in favour of Modi time and again. 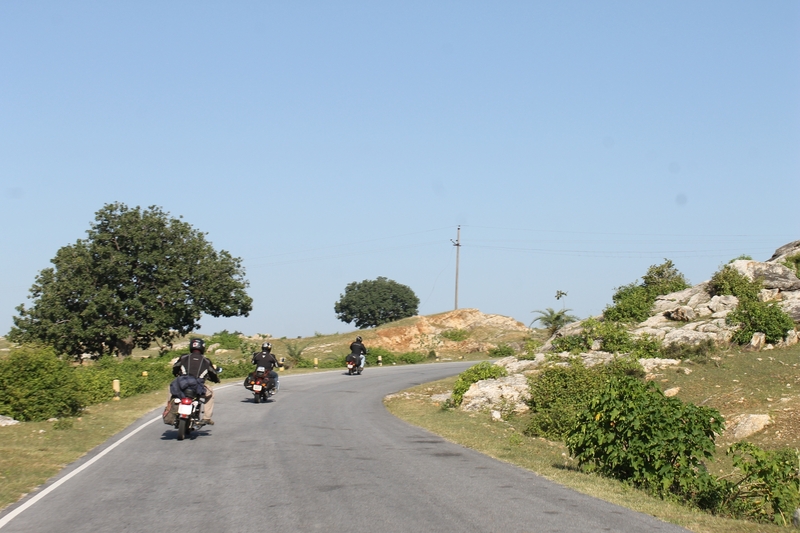 We averaged well over 50 kmph on the smooth roads of Gujarat, including comfort breaks, photo and refreshment stops. 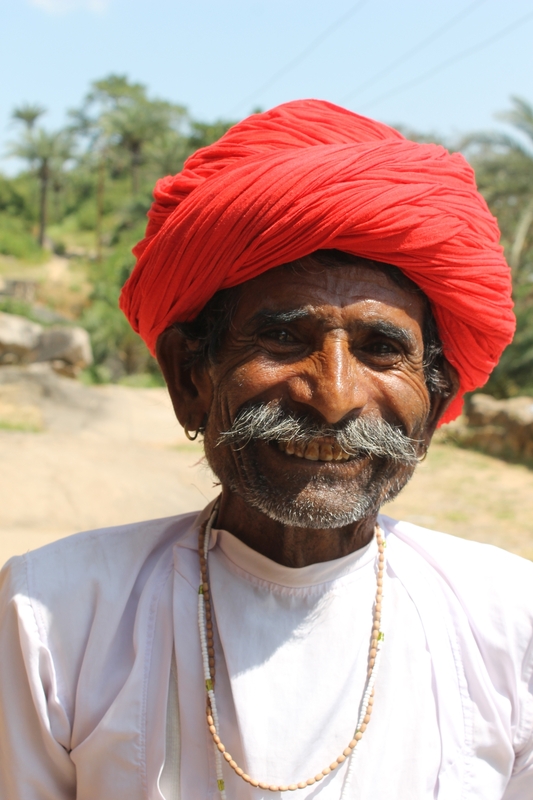 We reached Dholavira’s Government run resort “Toran” by 1:00 pm, and found that all their AC rooms were fully booked. However as luck would have it, Dholavira Gram Panchayat had opened a new rest house “Dholavira Tourism Resort” (9727784044, 9427719044), which is at a much nicer location (especially to see the sunset) and with better made cottage type AC rooms. So we checked in, had a quick shower and went for lunch at Toran, as our hotel’s cook had just left for his home. 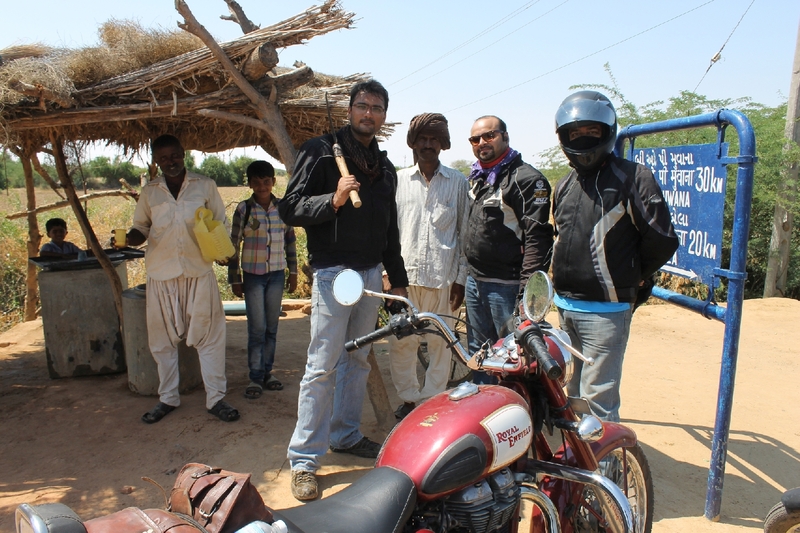 A dear friend and rider Twinkle Kapdi (Wilde Wide Ride) from Gujarat had arranged a guide for us to take us around the museum and sites of Dholavira. 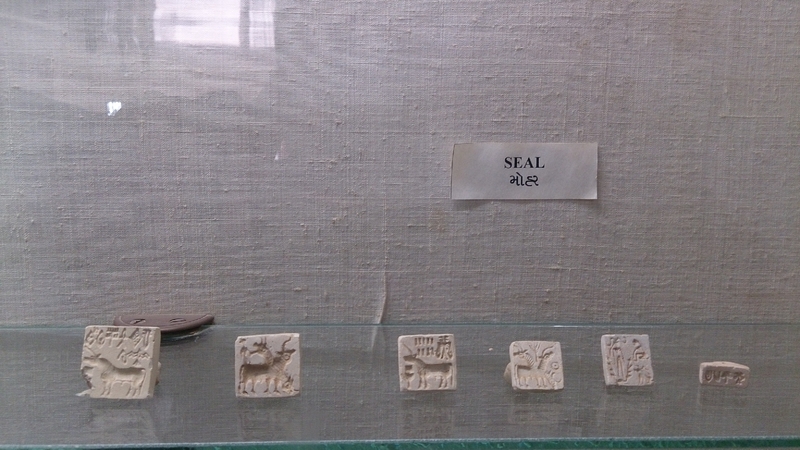 It was a great insight to know how advance humans were 4500 years ago. 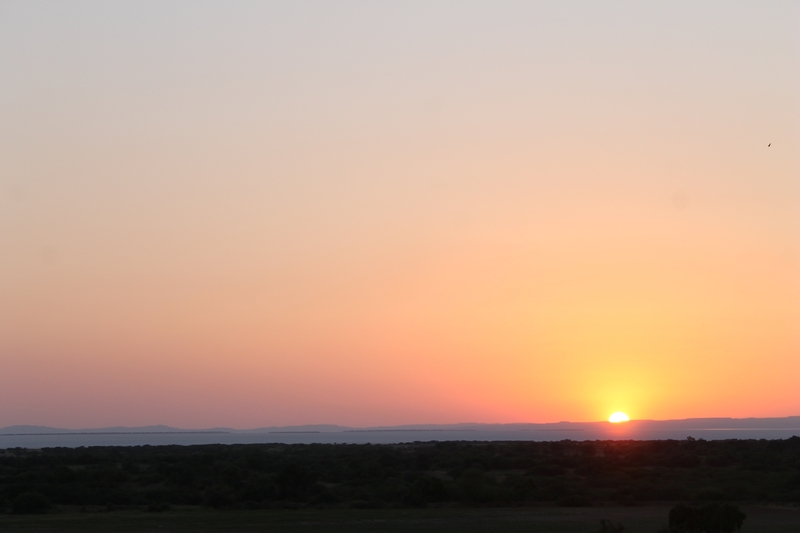 After a detailed tour of the site, we returned back to our rest house to watch the sunset. It was an incredible experience to watch the sun disappear gradually over the horizon. Dinner was taken at our resort. 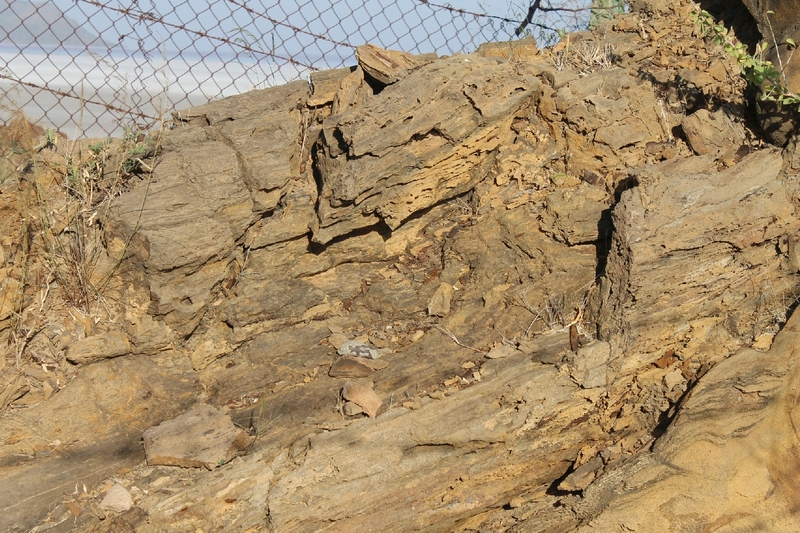 Early next morning we visited the fossil park which has petrified prehistoric tree fossils of the Jurassic era. This was the time when Indian subcontinent was a part of Africa, before breaking away and hitting China, which resulted in India becoming a part of Asia and also gave birth to the mighty Himalayas. 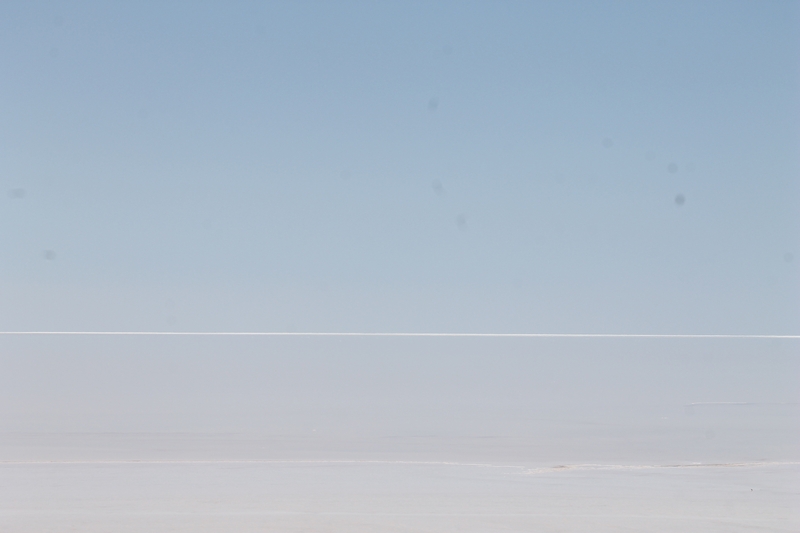 We descended further down the fossil park to reach the salt flats of the Great Rann. 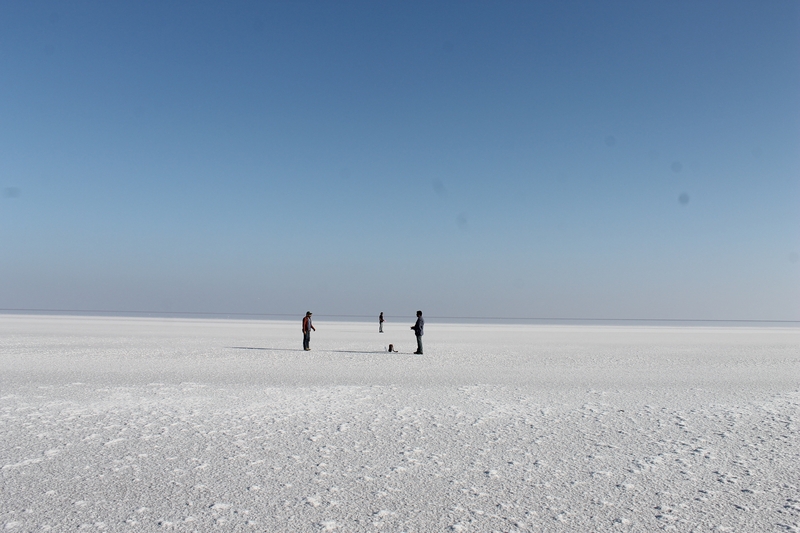 There is no doubt in the saying “If you have not seen the Rann of Kutch you have not seen everything yet” It was mesmerizing to watch hardened salt flats for as far as the eyes could see (these are much the same as the Bonneville salt flats in Utah, United States). 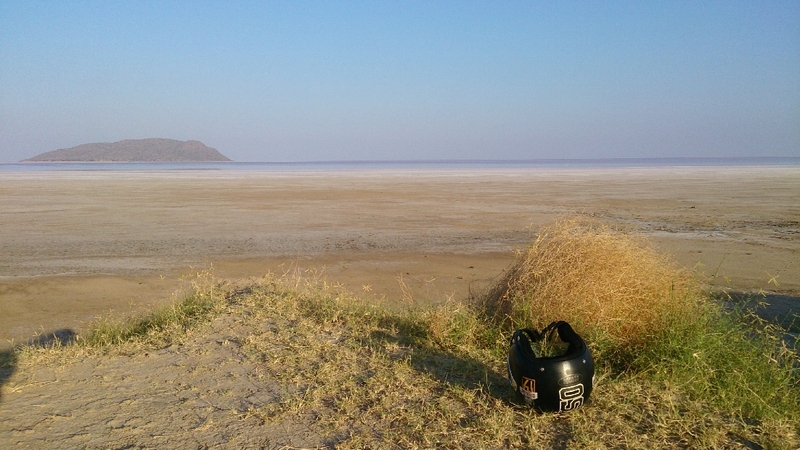 It is something that can only be experienced by being there, as no photos or write up could do justice to this place. After breakfast we hit the road for our return journey. 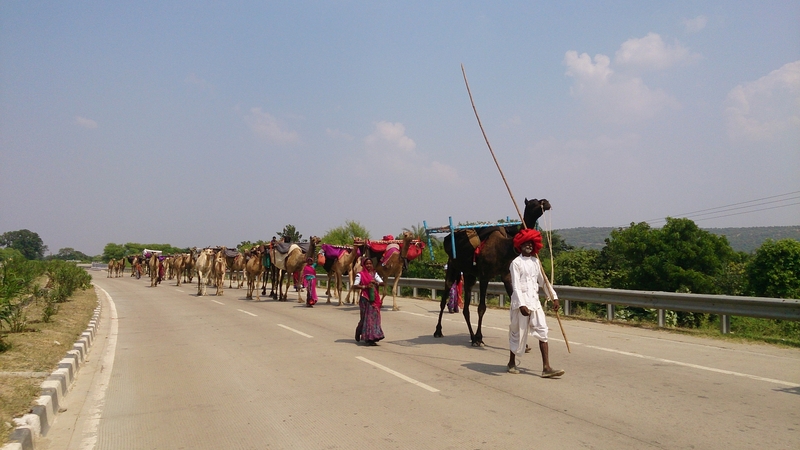 The plan was to reach Mount Abu before dusk, a distance of around 360 kms from Dholavira. A disciplined ride of 8 hours (with lunch en route) ensured we achieved this with ease. We checked into a very spacious hotel close to the main entry barrier of Mount Abu. It turned out to be nice place with garden and lots of open spaces. The evening was spent chilling and chatting up with fellow travelers over dinner, in the soothing cool climate of Mount Abu. As we had 2 nights here, we slept late in the morning. 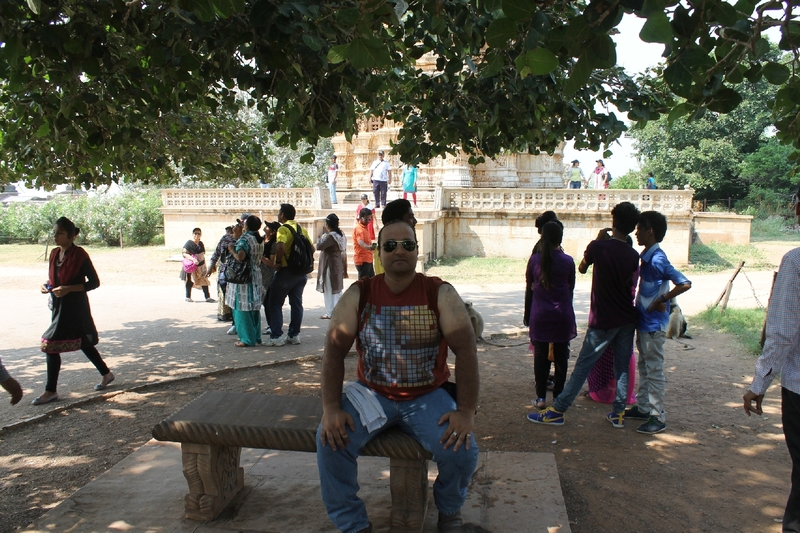 We then set out for our site seeing of Mount Abu, visiting the Dilwara Jain temples, Guru Shikhar, Nakki lake, Achalgarh fort and temple complexes within it. 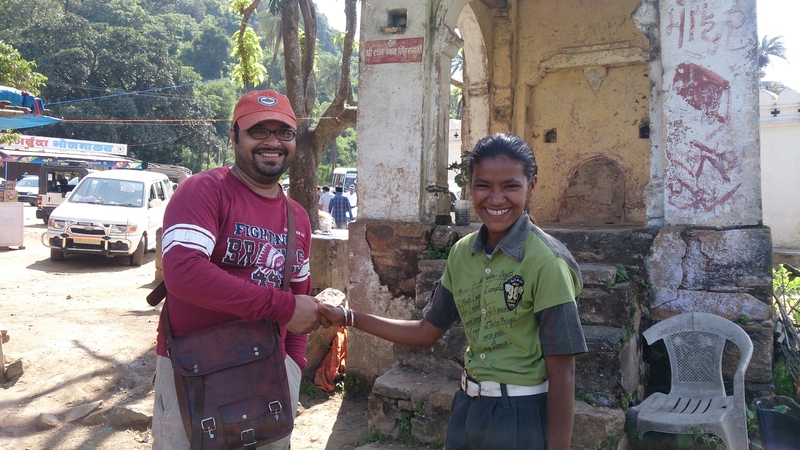 It is worth mentioning here that if you hire a lady guide by the name of Vasundhara here, your experience will be well enriched, by her cheerful ways of narration. We enjoyed the traditional Rajasthani cuisine “Dal Baati Choorma” at a local family run restaurant. The evening was spent watching the sunset and later sipping cocktails and drinks made by Saby. 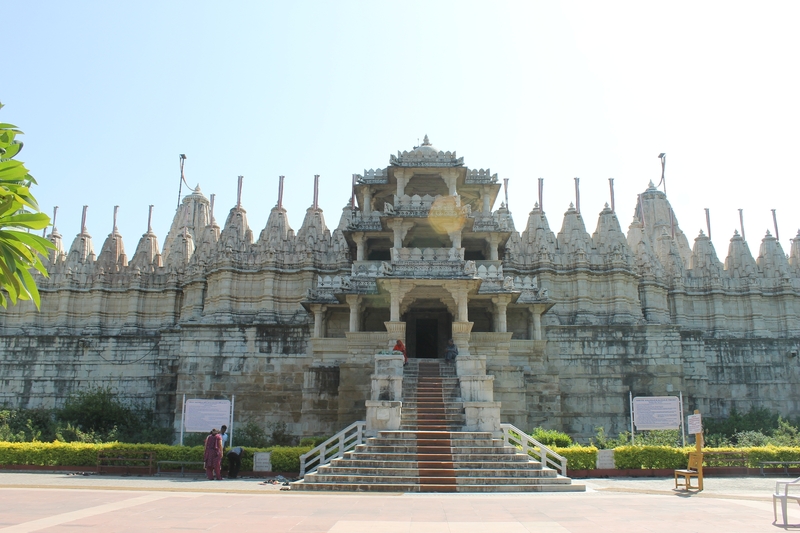 Day 7 was originally planned with a stay at Chittorgarh, however we were advised not to miss the world renowned Ranakpur Jain temple complex on our way, which is another wonder of fine sculptures on white marble. So we took the back roads through small villages. 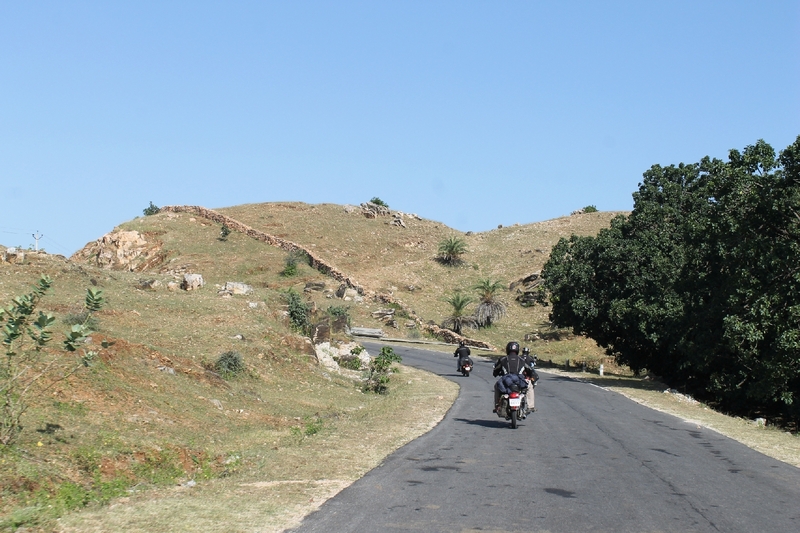 This was a delightful ride all the way, giving impressions of riding in the moors of England, as the entire Aravali hill terrain was laden with thick turf of lush green after the rains. 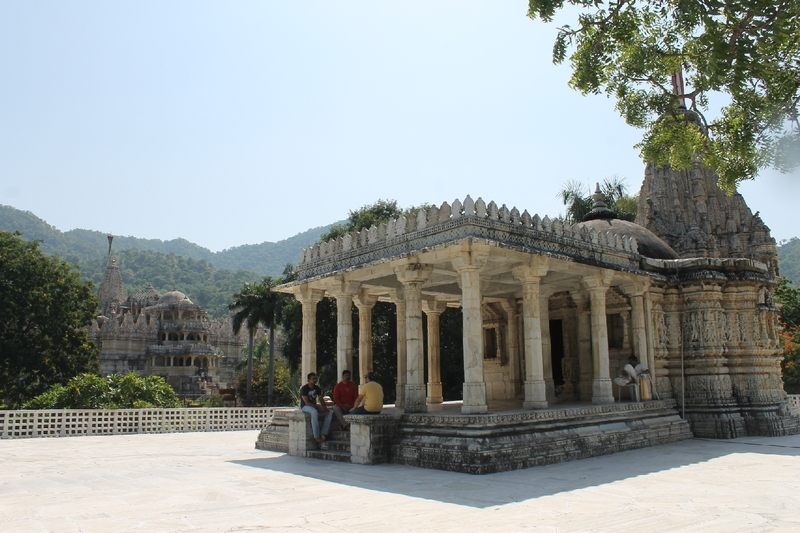 The Ranakpur temples complex was well worth a visit and soon we set out to reach Udaipur, another 100 kms from Ranakpur. 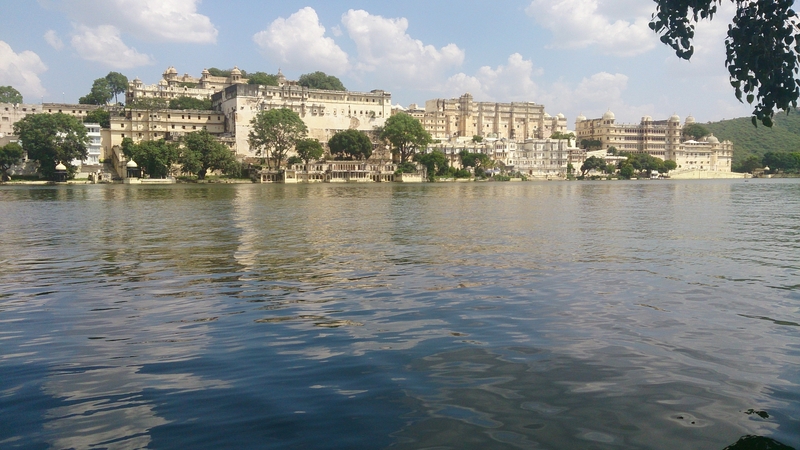 By 2:00 pm we checked into a haveli by the name of Lalghat guest house, on the Lal ghat of Lake Pichola. Lunch and beer was ordered, and we set out for local site seeing, boating and shopping on our way back. Dinner was taken on the rooftop which was no less an experience than the famous Lake Palace hotel itself, just opposite our place of stay. Day 8 was going to be a long day, due to the change of plan the previous day. We had to visit the famous 7th century Chittorgarh fort (spread over 700 acres above a 180 meters high hillock) on our way to Sawai Madhopur a drive of 400 kms. 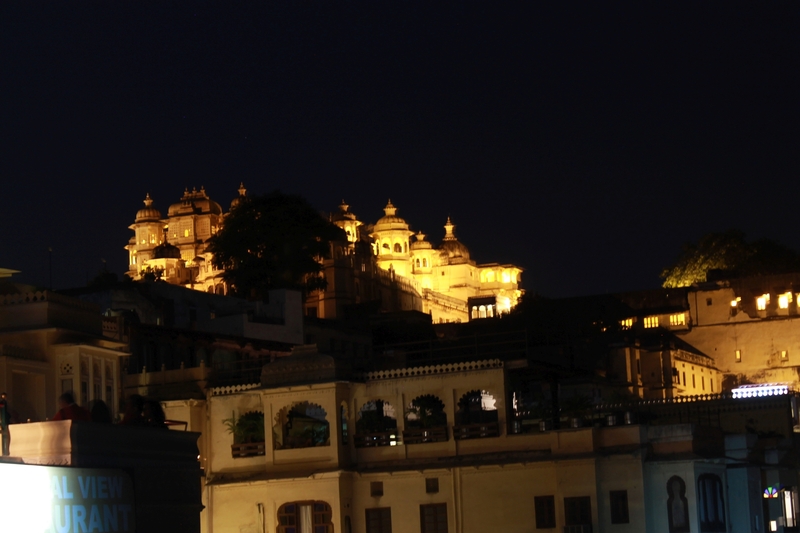 To anybody who has already visited Udaipur, we would strongly suggest a night halt at Chittorgarh, which is more ancient, quite, laid back town of Rajasthan. 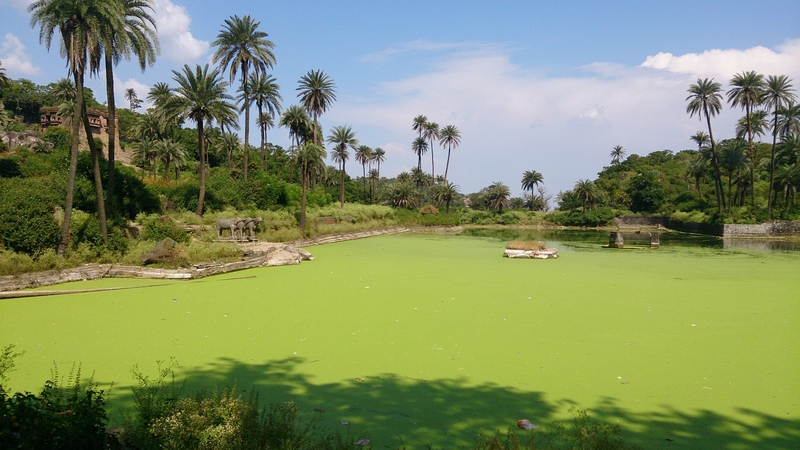 This place is known for the bravery, romance and respect associated with the Rajputs of Rajasthan. 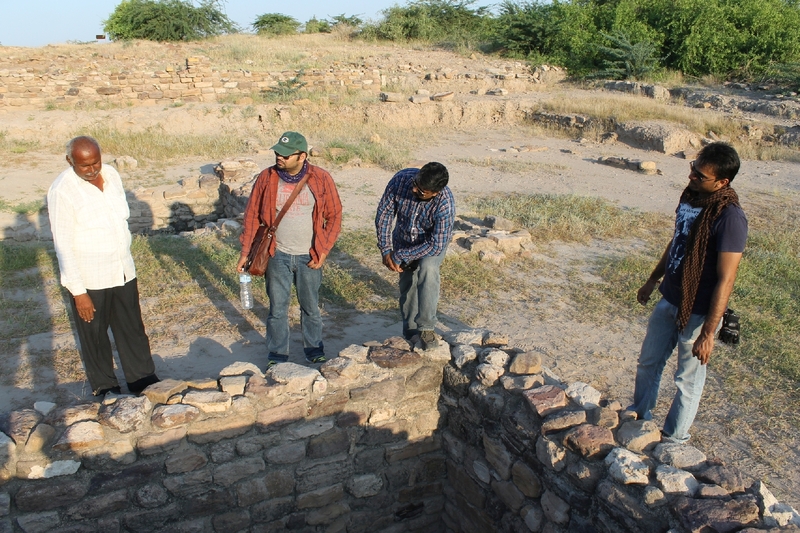 Guides are available at rupees 100 for a complete site seeing of the fort complex, which is worth the experience. 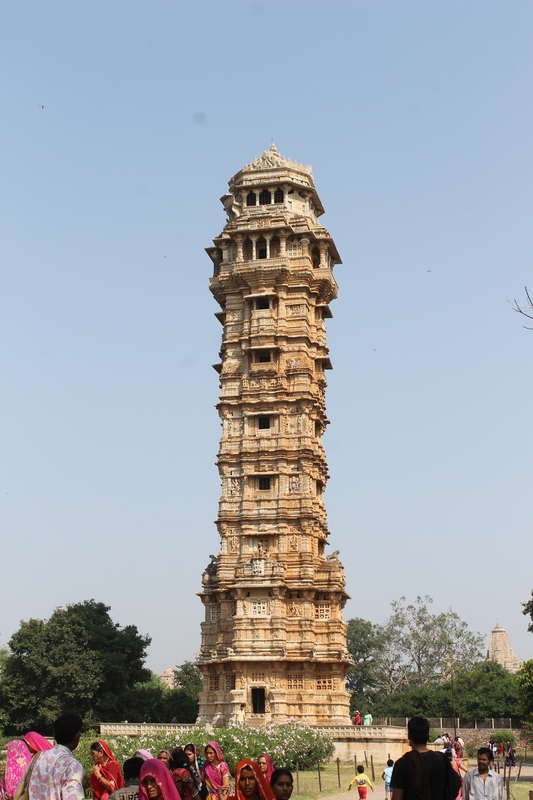 The Victory tower, old Palace, temples inside the fort is a sight to behold. Soon we pushed off to Sawai Madhopur which was still a good 300 kms away, with a brief stop for lunch. At the dhaba we were advised to take the route to Sawai Madhopur via Bundi, but as this turned out to be broken back roads, we ditched this idea, and decided to go via Kota. However this also did not help us much, as new roads were being laid on the main highway, we had to take a detour which was a nightmare for about 20 odd kilometers. This made us loose time. As we were approaching our destination, it was already getting dark. It was not until 7:30 pm that we reached Ranthambore. 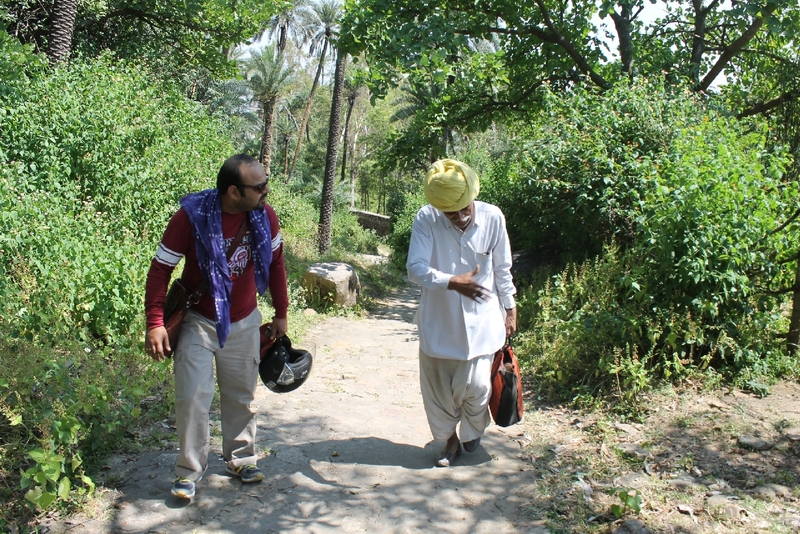 We had done many separate trips to this place in the past, so we went directly to Hotel Hammir Resort. However the rates they were asking this time were beyond our budget, so after frisking some other properties we settled for a newly built hotel by the name of Hotel Green Valley (9782739829). This small but professionally designed hotel has good accommodation for the right price. The next morning we had planned for a safari inside the national park, but the earlier day had taken toll on everyone, hence none of us could get up early. 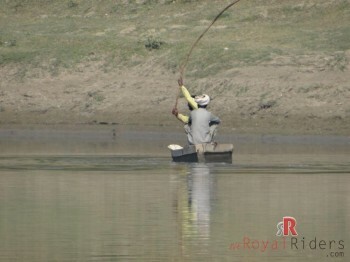 But there was no disappointment as trip from Agra to Ranthambore is almost like a visit to our backyard. The morning was used to review the entire ride over a delightful English breakfast served by the hotel. 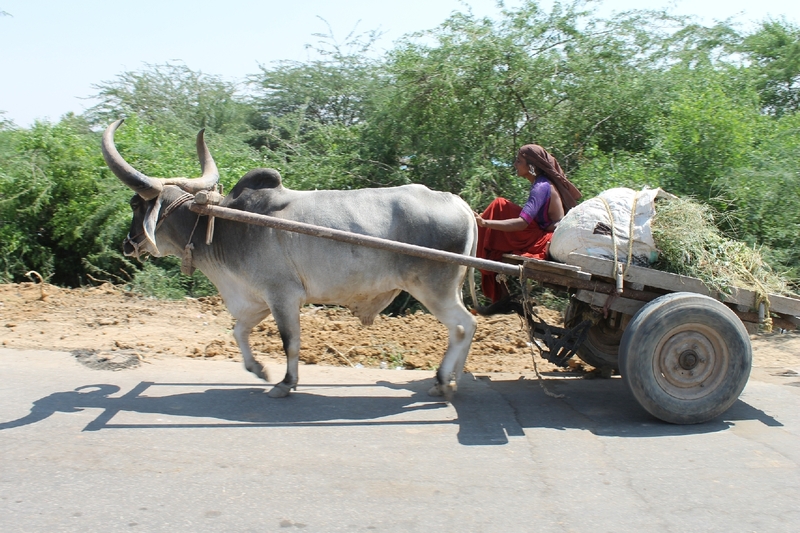 We finally took the last leg of the journey to reach Agra well before dusk. 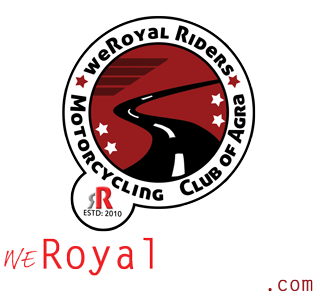 This was yet another wonderful road trip by WeRoyal Riders club. The 2800 kms were completed without a single breakdown, except for a puncture, just next to the tire shop. 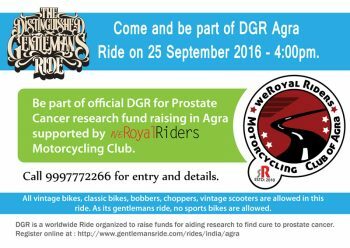 The 205 KMPH Royal Enfield Motorbike – From the History of Royal Enfield Royal Enfield’s New 600 cc and 400 cc Engines.